The Law Offices of Frank F. Daily is committed to community outreach. 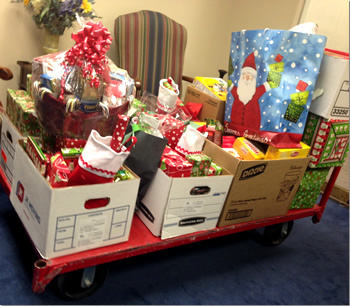 Each year around the holiday season the entire firm participates as a team in an effort to support a local charity. In December 2015 - 2017, our office adopted a family from West Baltimore for the holidays. The family, a single mom and two young teenagers with disabilities, has struggled with health and financial issues. The family connected with our office through one of our attorneys, who met them while working at a non-profit serving people with disabilities in Baltimore City. We surprised them with clothing, household supplies, as well as some fun gifts. During the holiday season, the firm has previously supported TurnAround, Inc. an organization committed to building a community free of violence by servicing victims of sexual assault and domestic violence in Baltimore County. local families during the holiday season. Below is a complete list of charities that the firm is happy to support.